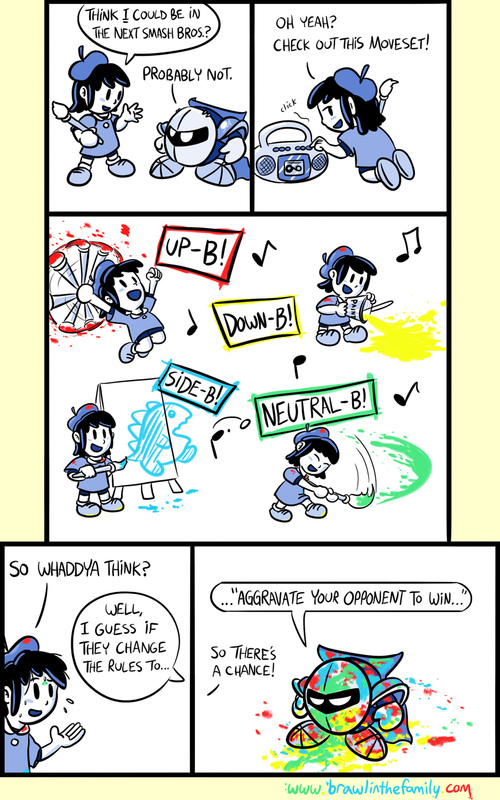 488 – Adeleine for Smash Bros. Sorry, Addie, but you’re probably not a front-runner for Smash 4. I think it’d be cool–an artist-type would be pretty refreshing–but if the Kirby series is getting another character, it’d likely be Bandana Dee (and if they’re getting an artist, it’s presumably Bowser Jr.). Still fun to draw these guys again. In completely unrelated news, I just watched the series finale of The Office, one of my favorite shows. I’m gonna miss it bad.